Analog Arts develops PC-based USB oscilloscopes, spectrum analyzers, arbitrary waveform generators, frequency and phase analyzers, data recorders, TDR cable analyzers, frequency and phase meters, pattern generators, logic analyzers, data acquisition systems, and application specific test instruments. Analog Arts products satisfy a wide range of applications in various industries. 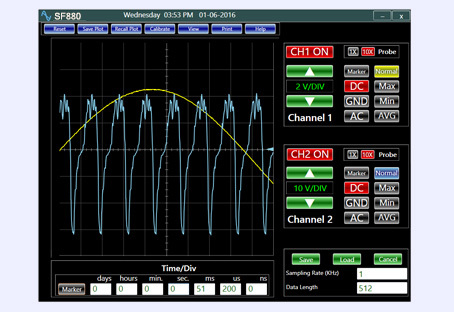 Analog Arts oscilloscopes benefit from a proprietary technology to offer an unprecedented level of performance and affordability. The instrument is accompanied by a spectrum analyzer, a data recorder, and a frequency and phase meter. 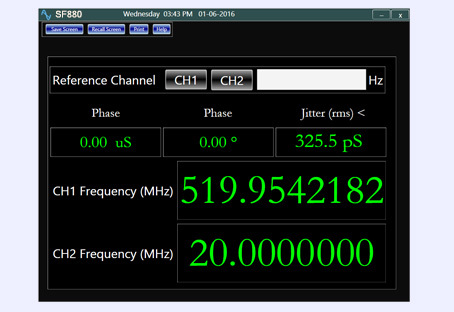 Offering over 25 standard functions at frequencies up to 150 MHz and the ability to edit and generate arbitrary signals. 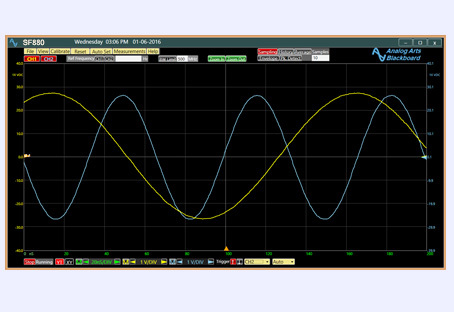 Analog Arts arbitrary generators offer an extraordinary performance at an affordable price. 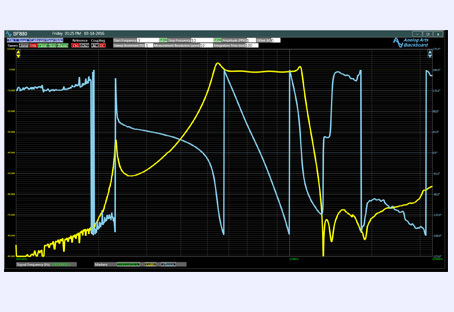 Featuring a dynamic range of over 100 dB and a frequency range of 1 Hz - 150 MHz, Analog Arts affordable frequency gain and phase analyzers satisfy a wide range of applications such as audio, power supply, filter design, and data acquisition. With an acquisition bandwidth of 1 GHz and the stimulating pulse signal rise time of less than 1 ns, the instrument is suitable for precise measurements of various metallic cable parameters with lengths from 50 cm to more than 1000 km. 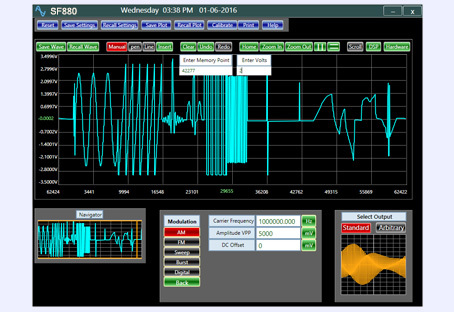 Analog Arts 16 bit logic analyzers and pattern generators features clock rates of up to 200 MHz. 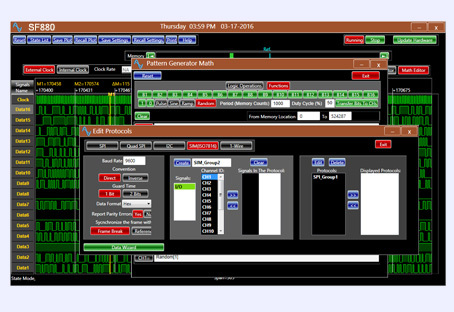 The instruments are supported by a powerful application software for graphical editing, data decoding, and data/protocol analysis. 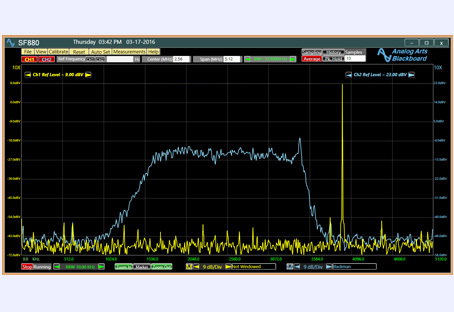 Providing better than 140 dB dynamic range, 100 GHz sampling rates, 28 bits of resolution at high bandwidths, our DAQ solutions have satisfied a wide range of applications including radar, communication, medical, and academic research. "Imagine the pocket-sized laboratory: You can measure feedback loop stability of your power supply, its spectra, check the jitter of the clock source or just determine Push-Pull driver dead-times. With one instrument. Open your eyes, SF880 is here!" 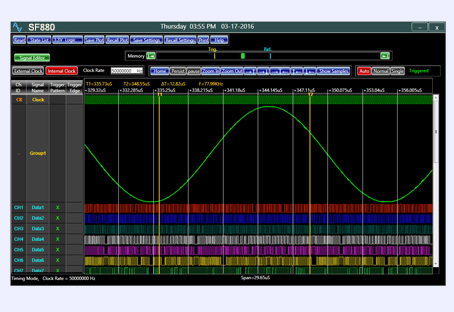 "LP665 is a must have tool for every engineer who wants to debug the SPI interface. What makes this tool even more valuable is the level of support you will receive from Analog Arts." "SA985 oscilloscope is being used to help investigate a project with the objective to detect Jupiter’s radio emissions. This work is supported by NASA and the device has been very accommodating to my research needs. I would recommend it to my colleagues. The experienced team at Analog Arts have been extremely helpful at resolving any of the questions I had about the device." "Analog Arts have amazing products - simply unparalleled in cost/ performance ratio. The support is even better - both attentive and eager to help. They've made a huge difference in our work."